The Sphere Handbook 2018 was launched on 6 November 2018. This launch also marked the 20th anniversary of the Sphere movement, established originally as a time-limited project which has grown into a community of purpose spanning the globe. What is new in the Handbook 2018? 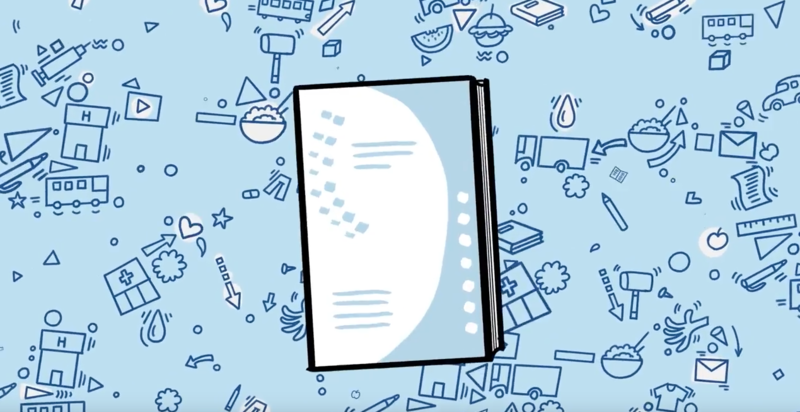 The 2018 Sphere Handbook builds on the latest developments and learning in the humanitarian sector. Among the improvements of the new edition, readers will find a stronger focus on the role of local authorities and communities as actors of their own recovery. Guidance on context analysis to apply the standards has also been strengthened. New standards have also been developed, informed by recent practice and learning, such as WASH and healthcare settings in disease outbreaks, security of tenure in shelter and settlement, and palliative care in health. Different ways to deliver or enable assistance, including cash-based assistance, are also integrated into the Handbook. The launch of the Handbook and this anniversary were celebrated during a special event taking place on 6 November in Geneva, Switzerland. Other launches are planned throughout 2019 and will be posted in the Sphere Calendar. Please contact us if you want to organise events in your own community. 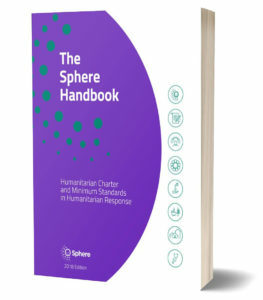 The Sphere standards are periodically revised to make sure the Handbook reflects new evidence and evolving practice in the humanitarian sector. Previous editions of the Sphere Handbook are available in over 30 languages.